What had happened to the 2016 development activities with all the funds allocated? Why does this government repeat same for 2017 as well? The Parliament commenced this year after vacation with a bill presented by Prime Minister Wickremesinghe to centralise developments sustainably. Titled “Sri Lanka Sustainable Development bill”, it provides for the establishment of a “Sustainable Development Council” (SDC). As reported, it provides for the formulation of “A national policy and strategy on sustainable development” that would be valid for a period of 15 years. The bill also requires the SDC to “have a legal framework in place for implementation of national policy and strategy”. On 25 of November, 2016 the “Development (Special Provisions) Bill” was Gazetted. It was based on a Cabinet Paper presented by PM to co-ordinate development across the country. Yet, all Provincial Councils rejected it as encroaching on devolved subjects. Popularly called the “Super Ministry” bill it is laid aside for now. This “development” bill comes to Parliament in less than a fortnight after the “Super Ministry” bill was rejected. This new “Sri Lanka Sustainable Development” draft bill was presented to the Cabinet of Ministers by the Prime Minister as “Document No. 10” on July 22, 2016. At the same Cabinet meeting, another, also for development and tabled by the President as “Document No. 09” was approved. This was titled, “Organization for Nation Development with Civil-Military Coordination”. Surprisingly none seems to be interested to know why there should be two bills for development by the President and the Prime Minister. While the two separate documents on national development were approved by the Cabinet of Ministers at the same meeting, Minister for Development Strategies and International Trade, gets his proposal as “document No. 65” also approved to establish a State controlled ‘consultancy’ company in collaboration with a Singaporean company named “Surbana Jurong”. This new company would facilitate foreign investment for “development”. How this Singaporean company was picked to sign an MoU with the BOI-SL remains an unanswered question that could cross the line of corruption as well. It is also intriguing how the Minister for Development Strategies decided in advance that such a foreign collaborated consultancy firm was required, even before the SDC was established to formulate a national policy and strategy on sustainable development. There is similar contradiction with the Prime Minister laying down his government’s economic policy framework in parliament on two occasions within a year. First on 5 November 2015 and the second on 27 October, 2016. The Prime Minister laid down his government’s economic policy and strategy the second time, for the next 5 years valid up to end 2021. In less than 3 months he presents to parliament the Sri Lanka Sustainable Development bill to establish and mandate the SDC to formulate a national policy and strategy on sustainable development for the next 15 years. Any reasonable explanation for this confusion at the highest level? On top of all this multiplicity and overlapping of responsibility for undefined “development” efforts by different ministers and creation of different agencies, the Speaker Karu Jayasuriya too has appointed a Parliamentary Committee for sustainable development, headed by Deputy Speaker Thilanga Sumathipala. The “development” saga of this “unity” government does not end just there. Two months ago, the government’s budget for 2017 presented and adopted in Parliament now holds the Government responsible for “development” across the country. Promising such development, the 2017 budget was approved to establish EPZs for environmentally highly sensitive operations in Hambantota, Puttalam and Kilinochchi. These will have 50 per cent tax reductions for 05 years to come. The government allocated Rs.21,000 million to cluster 14,022 GN divisions into 2,500 cluster villages as rural economic units. An Aquaculture Park is to be established in Batticaloa with an initial allocation of Rs.100 million. Again, Rs.750 million was allocated to develop fisheries harbours in Chilaw, Mirissa, Kalmunai, Valvettithurai, Karai Nagar and Puranawella with capacities for repair and manufacture of boats. Underutilised or unutilised State land will be given for dairy farming with investments of Rs.25 million. For seed quality improvement Rs.100 million was allocated with unutilised State land offered. A 50 per cent tax holiday is given for drip irrigation and greenhouse technology. Mini industrial parks are to be set up in Moneragala, Jaffna/Vanni, Puttalam, Ampara for MSM enterprises with investment on MSM enterprises offered 50 per cent reduction on tax. They are some of the proposals for “development” as designed and planned by the government. Interestingly, identical projects were funded on proposals Finance Minister Karunanayake brought before Parliament with his budget for 2016 presented in November 2015. There should have been an evaluation report tabled in Parliament on those 2016 proposals before the 2017 budget was discussed. That would have revealed to the people what had happened to those 2016 budget proposals approved for “development”. In previous year’s budget, these included among others, proposals to establish a “Regulatory Authority” to streamline the MSME sector. It was proposed to register all Micro Financing Agencies for an annual fee of Rs.25,000 per unit. Rs.500 million was allocated for a MSMEs Credit Guarantee Scheme as initial capital. Mini-industrial parks were proposed as MSME incubators in Moneragala, Puttalam, Jaffna/Vanni, and Ampara with applicable tax rates reduced by 50 percent for a period of 03 years with an allocation of Rs.150 million for the purpose. For greater collaboration between the private sector and government to produce high quality seeds, unutilized state land were proposed to be allocated as an incentive. A sum of Rs.1,000 million was allocated for this purpose. Half tax holidays were granted to companies that use drip irrigation methods, greenhouse technology and endeavour to introduce high yielding seeds. A life insurance cover of Rs.1 million was approved for the fishermen who meet with accidents when at sea. Rs.750 million allocated for development of Fishery Harbours in Chilaw, Mirissa, Kalmunai, Valvettithurai, Karai Nagar and Puranawella. What had happened to these 2016 “development” activities with all the money allocated? Why does this government repeat same for 2017 as well? Clearly nothing had happened in 2016. But, it is necessary for the public to know how the money allocated in billions of rupees was disbursed. They also raise another important issue. With billions allocated and spent in 2016 for numerous high profile “development” activities and more included in the 2017 budget approved by Parliament with much more allocations, the government also promises to carry through all the Chinese funded projects that former President Mahinda Rajapaksa started, including the Colombo Port City Project, the Magampura MR Harbour expansion and the Mattala International Airport. The Prime Minister meanwhile told Parliament he is ready to relocate the Hambantota Industrial Zone that was ceremoniously launched on January 76, to Polonnaruwa, Kandy or Nuwara Eliya, if Hambantota people don’t need it. 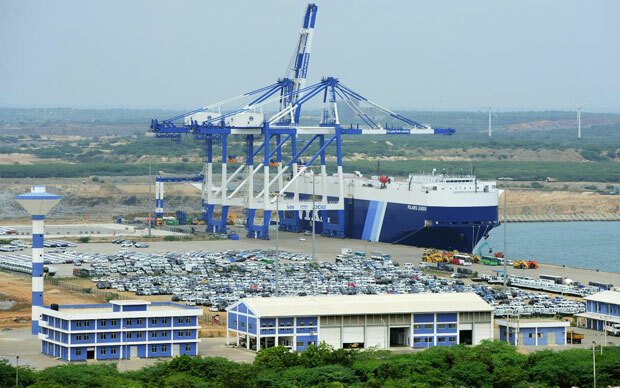 Despite such industrial zones as proposed need a modern harbour facility in very close proximity for its operations, it is not only disappointing when the Prime Minister offers relocation to places as interior as Polonnaruwa, Kandy and Nuwara Eliya, it also says the government is not serious about development. This government not only lacks any seriousness in what they do, but also prove they are pretty amateurish in what they do. They prove there’s no coherence in thinking in the government when the same cabinet meeting adopts 03 proposals that should come as one integrated proposal from the most appropriate ministry with others identified as line ministries and agencies. That does not happen, partly because every minister has a stake in how much allocations can be secured. And this again is a government that adopts same budget proposals with big majorities, two years running. More importantly it begs answers to the question, why the government that in two consecutive years proposed and adopted numerous “development” activities with billions of rupees allocated to them, now want a bill passed in Parliament to formulate a “national policy and strategy on sustainable development” that would be valid for a period of 15 years? Those already approved and funded were also highlighted as eco-friendly, sustainable and planned for many years ahead. What would any new planning under the proposed “Sustainable Development Council” do with these ongoing “development” projects and with all those Chinese funded mega projects? With all the “development” that the government is harping on, and investment that it promises to bring in, is there any necessity to establish new agencies and consultancies for more development planning? All this can have only one answer. This government is gunning for heavy centralisation of the State to have all funding under such centralised agencies. What comes out of it, in terms of delivery to people is not what’s important. Duplicity in budgets proves it all.